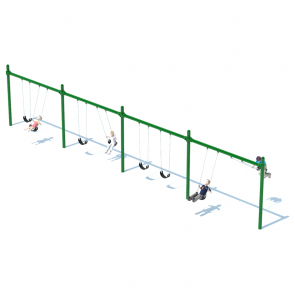 The posts for the Single Post Swing Sets from American Playground Company are made of 5” outer diameter high strength, corrosion-resistant, galvanized steel tubing. 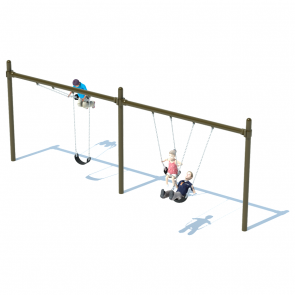 This swing set style is offered in an 8’ height, with your choice of 1 through 4 bays. 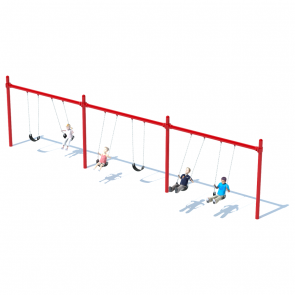 Each bay contains two swings. 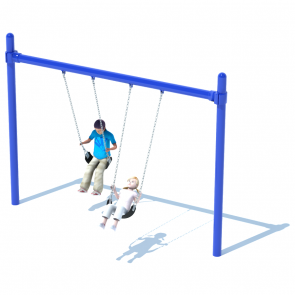 Customize your swing set with your choice of colors to match school colors or existing equipment, too!